The first impression can be made only once. We know about this which is why we offer comprehensive solution for Brand presentation. Show the world your Brand on large outdoor advertising media and event gadgets. We are here to help you achieve success. View the latest catalogue of advertising products for your brand! Added:27.09.2018 During the fair we’ll present the following: promotional tents / advertising tents and gazebos parasols based on oval profiles See you in Nuremberg! Do you want to stand out? Are you looking for a complex strategy for creating a positive image of your company? Are you lacking more ideas on how you can present your brand? We know how to help you! There are some powerful tricks we have used while promoting a number of leading brands in Poland, Europe and the whole world. Our big size advertising media were bought in as many as 42 countries. We are a global company and, thus, we offer: advertising parasols, parasols for restaurants, event pop up gazebos, advertising flags and furniture. We produce our advertising products in a complex way – we advise, create and deliver them! LITEX Promo – trust in numbers! Do you organize outdoor events? 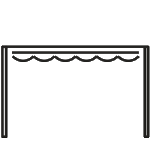 Branded gazebos including your company`s logo will let your customers notice you. Allow yourself to be visible, do not make your client seek you! 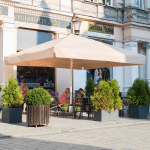 Advertising parasols and parasols for restaurants constitute an obligatory element present outside every place. Perfect protection from sun and rain and also reliable advertisement promoting your brand. They are an alternative to parasols, which perfectly work in both heat and rain. Allow your customers to spend nice time in fresh air. 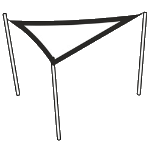 Drag a customer`s attention by choosing advertising flags and beachflags including the logo of your brand. They will be visible from a huge distance during events, exhibitions and also on everyday basis in front of your company`s seat. It is one of the easiest ways for promoting a company. Banners work well inside and outside a building. We produce them in various formats, however, we always pay attention to their durability and resistance to mechanical damages and influence of atmospheric factors. Our company employs only experienced specialists in production of big size advertising media. We have modern printing machines, but also the machinery for wood, steel, aluminium and plastics processing. We use innovative techniques of print which help us to improve our products and make sure that our customers always get high quality products. Event parasols, market and exhibition gazebos are covered with protective layers to guarantee effective protection from water, UV radiation, impurity, fire and fungi. We also offer different types of printing: digital, screen, flat and rotary. 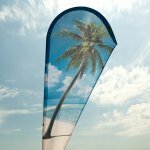 Gazebos, event parasols, branded flags and other outdoor advertising media allow to reach a greater number of customers. Thanks to them, you are present within a city and you increase the chance that your message will be remembered. In such a simple way, you can build a positive image and due to a wider range of various forms and opportunities you gain possibility of having an original and attractive advertisement. Big size advertising media search for potential customers without your assistance. Their enormous sizes and simple form, give you the opportunity to make fast contact with a recipient.